When it comes to choosing supplements for dogs with cancer, all of us have to be mindful of finances. Our veterinarians and/or veterinary oncologists definitely want us to only use what is safe, and likely to help (or at least not hurt). As you probably know, there are dozens of supplements touted for helping with dog cancer in online forums and irresponsible marketing, so it’s hard to know for sure what to give our own dogs. That’s why Dr. Dressler and Dr. Ettinger added an Appendix to their best-selling animal health book The Dog Cancer Survival Guide. In Appendix A, they lay out, very simply, the most important supplements to consider for your dog in the order of importance. If you’re wondering where to start, this page may be the best resource on the web. The supplements below have been shown to be safe and supportive clinically by veterinarians and veterinary oncologists around the world, and because they are listed in order of importance, you’ll know where to stop for your own financial, time, or emotional reasons. Please remember that this does NOT constitute veterinary advice. We are not veterinarians, and even though this is excerpted from The Dog Cancer Survival Guide, it STILL does not constitute medical advice. Every dog is different, and every case is different, and the choice of ANY treatment — surgery, chemo, radiation, supplements, nutraceuticals, even diet — should be made in consultation with your own veterinarian. There may be supplements on this list that would be helpful for your dog but can’t be used because of other health conditions, for example. Only your veterinarian can review your dog’s case and look at everything from the big picture. If your vet wants a consult with Dr. Dressler or Dr. Ettinger directly, they can always contact them for help, too. If you don’t yet have a copy of The Dog Cancer Survival Guide, it is available everywhere books are sold and in our online shop. It’s invaluable for research on the supplements below, plus conventional tools, diet, and mind-body strategies that can really help your dog. If you are working within a budget, or if your dog doesn’t love taking pills, you may have to select supplements carefully. This appendix answers the common question “Which supplement or supplements are most important for my dog?” I’ve listed each supplement I recommend below, in their order of priority. Just because a supplement is lower on the hierarchy, doesn’t mean it is unimportant, however. To get my recommendation, supplements must have credible evidence for benefitting the majority of dogs with cancer. 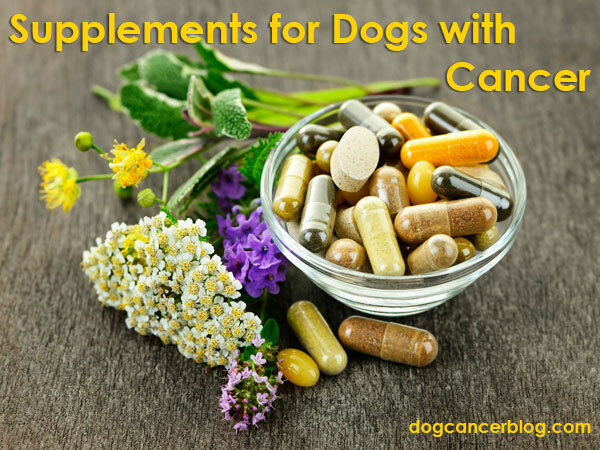 If you look at Appendix B, you’ll see many supplements, which were excluded from Full Spectrum cancer care, even some generally beneficial supplements, and some which may be helpful for a small number of dogs. I excluded these because I don’t like to overuse supplements, unnecessarily duplicate their actions and, most importantly, because most guardians just want to give the best, most helpful agents. Also, I excluded many supplements which are antioxidants with no or little evidence for direct anti-cancer benefits because they can interfere with more important pro-oxidant therapeutics, as discussed in Chapter 8. The highest priority supplements in the Full Spectrum hierarchy are those which manage the common and expected side effects of chemotherapy and radiation treatments. If you are not using these treatments, or if your dog is not experiencing the named side effects, you can skip those supplements. Carefully consider each of these supplements for interactions with other medications, conditions, and cancer treatments, and, as always, I recommend checking with your veterinarian or oncologist to get her advice. If your dog is having chemotherapy or radiation treatments, managing side effects like nausea, vomiting, diarrhea, and kidney, liver and/or heart damage is your first priority. The supplements below will help. If your dog is not suffering these symptoms or is not receiving these treatments, skip to Second Priority: Full Spectrum Nutraceuticals. Here are the recommended apoptogen nutraceuticals listed in order of their importance. Not every nutraceutical is appropriate for every case, so please check chapter 12 for details. Here are the other supplements we recommend for dogs with cancer, listed in their order of importance. Found that FREE chapter helpful? 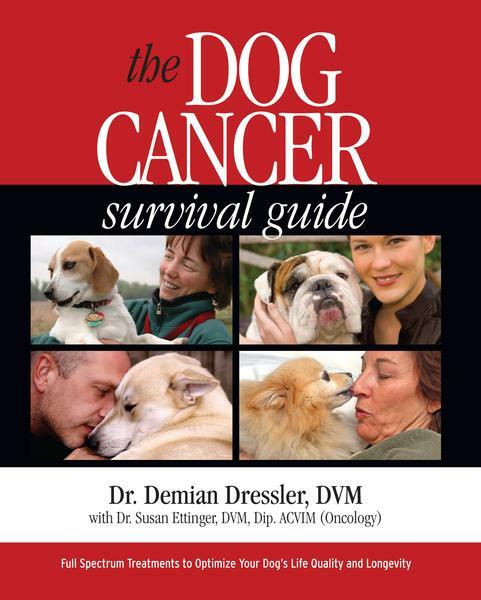 Get the full 500-page book The Dog Cancer Survival Guide for only $9.99. There are 40 more Super Helpful Chapters, 5 Incredible Appendices, and 1 Fantastic Index in The Dog Cancer Survival Guide.